Lately I have had a difficult time finding easy dishes to make. Thankfully, I came across this recipe and was able to throw this together within minutes. 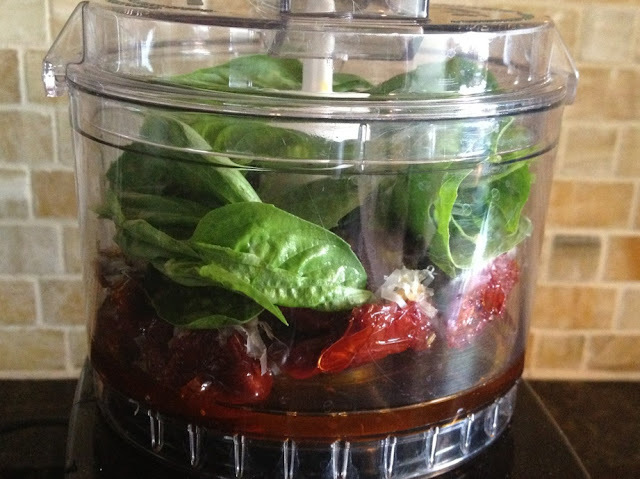 I feel like basil and sun-dried tomatoes are staples in my kitchen and nonetheless this recipe incorporates both. This was a very light dish which was nice considering we are still in a food coma from Charleston. Mix the basil, sun-dried tomatoes with oil, parmesan and salt and pepper in a food processor. Blend into a semi-thick paste. 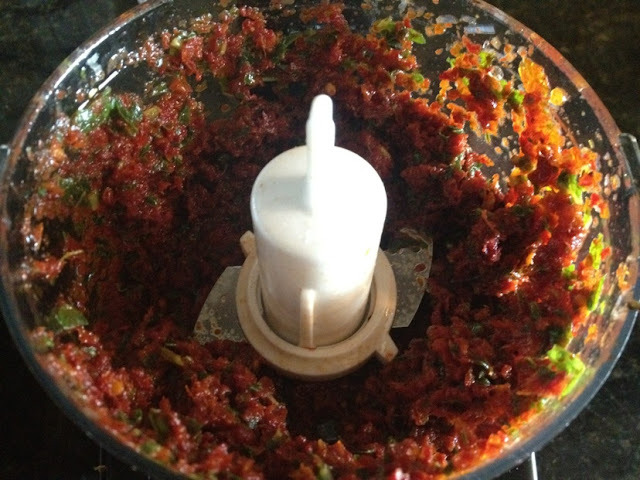 Alternatively, you can finely dice everything into a lumpy paste if you do not have a food processor. 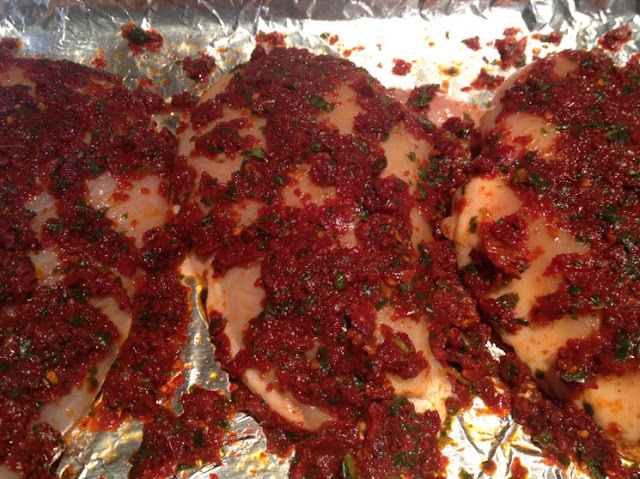 Next, on a lined baking sheet, spread 1/3 of the paste and lay the chicken breasts on top of it. Then cover the chicken with the remainder of the paste. Place the dish in the oven for 17-20 minutes or until the chicken in baked through. 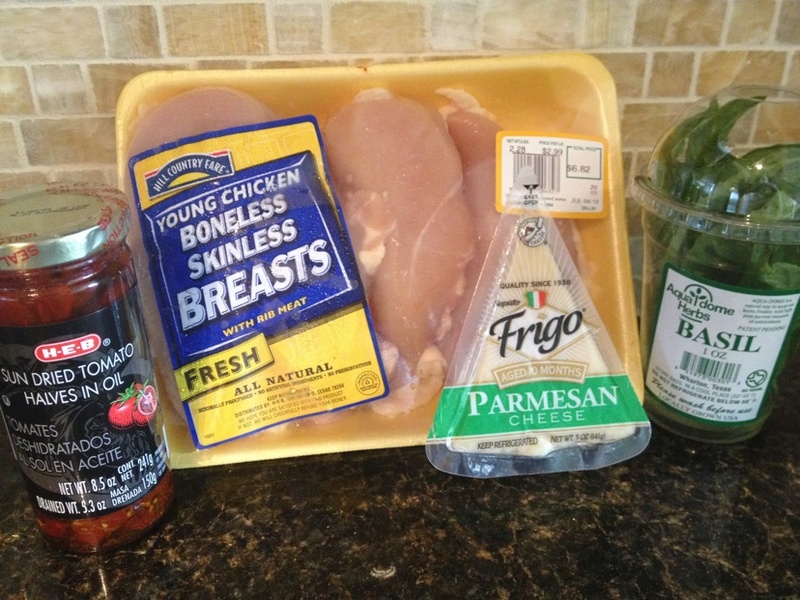 When the chicken is done, you can pair this with a salad, pasta, garlic bread, etc. etc.! 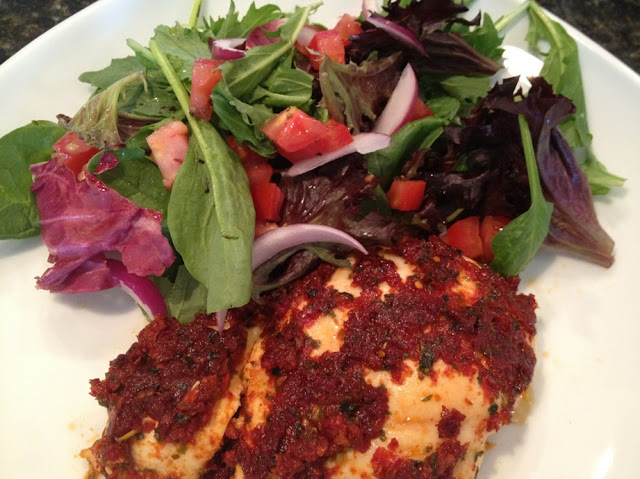 You can even finish this dish off with a drizzle of balsalmic vinegar over the chicken!